﻿Who is the Largest Fast Food Franchise in the United States? The title for the “largest fast food franchise in the United States” goes to none other than Subway. According to a recent study by the data analytics company Datafiniti, the submarine and sandwich franchise has over 26,860 locations, which account for 18.5 percent of all fast-food restaurants in the United States. In fact, Subway had more than 12,000 locations than McDonald’s by the close of 2017. ●The Subway system has over 25,950 restaurants across the US and nearly 42,500 locations worldwide. ● Each Subway location pulls in an average of $416,860 annually (according to 2017 stats). 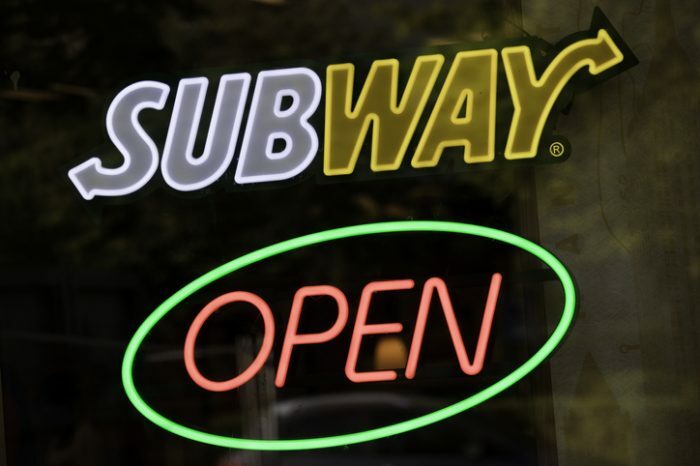 Of course, long-time fast food giants like McDonald’s; Taco Bell and Burger King aren’t too far behind Subway. Chiming in the second position is McDonald’s with 11.3 percent market share as per the number of locations the chain has across the country. Clearly, McDonald’s and Subway are dominant players in the fast food franchise industry, controlling nearly one-third of all fast-food locations. Burger King, the one-time king of the fast-food franchise world, and Mexican-style fast-food restaurant chain Taco Bell now account for only 5.7 percent and 5.3 percent market share respectively. How Do Other Fast Food Franchises Compare? McDonald’s lost its appeal as the go-to fast-food restaurant when Subway took America by storm. However, it’s still the second largest fast food franchise in the US, with over 14,036 locations across the country. Although it has fewer locations, McDonald’s beats Subway when it comes to revenue, estimated at $37.5 billion. 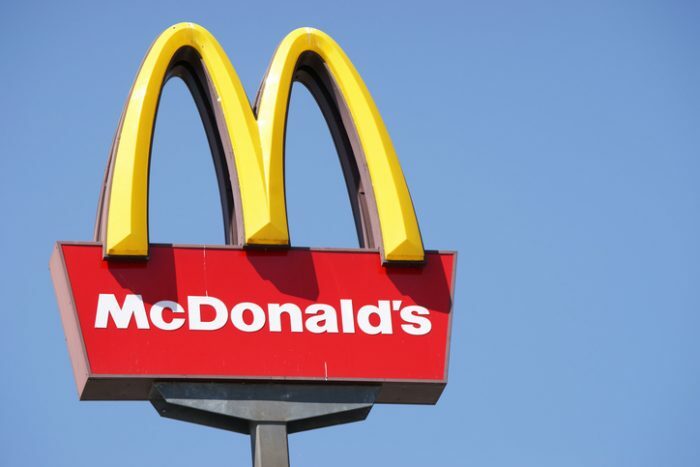 The annual sales for an average McDonald’s location is around $2.67 million. Burger King might have kept their eyes on McDonald’s too much because Subway raced past them in a matter of months. Even still, Burger King accounts for 5.7 percent of all fast food restaurants in the US. Nonetheless, Burger King moved from 6th position in 2015 to the 3rd place in 2018. Taco Bell is a favorite Mexican style fast food restaurant in the US. However, its growth in the Northeast has been a little lackluster. With 5.3% location market share, it’s still a mammoth of a fast-food franchise. When it comes to pizzas, Pizza Hut is the undisputed champion. It accounts for 5 percent of all fast food locations in America (over 7,552 restaurants). If you open a Pizza Hut location, you can expect to make annuals sales of $900K. Just like its arch-rival Burger King, Wendy’s has suffered a blow following the explosive expansion of Subway franchise. Even so, Wendy’s still enjoys 4.4 percent market share in terms of location count and pulls in nearly $10 billion in revenue annually. The second largest pizza franchise in the US, Domino’s Pizza has exerted its dominance with over 5,600 locations across the country. As such, it accounts for 4 percent of all fast food restaurants in the United States. The chicken chain has nearly 4,200 company-owned and franchise restaurants in the US, account for 3 percent market share. In the past five years, KFC has been making headway more outside of US, adding nearly 10,000 international locations in the period. Dairy Queen has maintained its place in the top 10 largest fast food restaurants in America for nearly a decade in a row. That’s because they continue to innovate and bring in new flavors year in year out. DQ currently accounts for 2.9 percent of location count in the US. Arby’s has had mixed results as a franchise in the past few years. While it’s closing restaurants in the South, more locations are emerging in the Midwest and Northeast. On the overall, Arby’s control 2.9 percent of the fast food franchise market in the US as per the number of locations.